Give your child the gift of confidence! 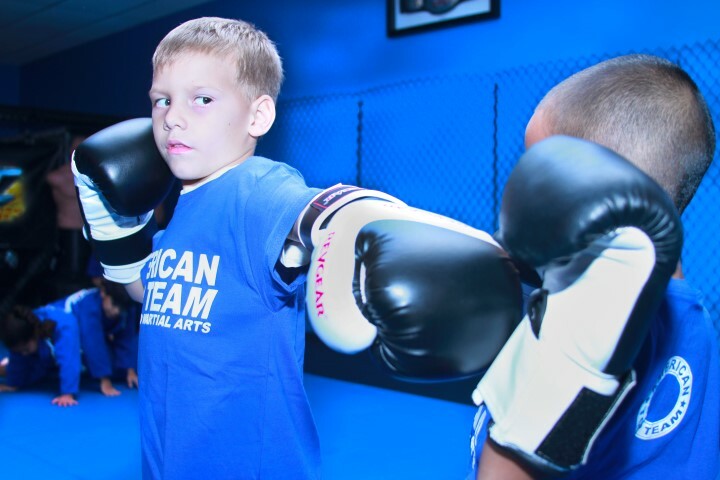 Training in Mixed Martial Arts at ATT can be a huge advantage for children. Our World Class kids program combines the best and most practical skills from Brazilian Jiu-Jitsu, Karate and Muay Thai Kickboxing. This system of training provides a child with all the tools necessary to capably defend themselves while standing as well as on the ground should they ever need to. The fact that Brazilian Jiu-Jitsu does not rely on strength and size but rather technique and leverage makes it a viable self defense system for a child. We do not focus on just one area of self defense. We equip your child with technical knowledge from all ranges. You may ask “Is this safe for my child?” With our structured curriculum and goal oriented ranking system, our program is far safer than football, soccer, gymnastics or even cheerleading. Our anti-bullying program teaches students how to responsibly deal with bullies. We teach our students the proper steps to take if they or someone they know is being bullied. Your child will have fun and build dynamic martial arts capabilities while improving discipline and confidence! More than any other sport or activity, the martial arts give a child the mental and physical skills to succeed in everything they do. Our kid’s program is challenging and fun while we encourage every child to strive to do their personal best. In addition to physical skills, we teach life skills such as Discipline, Confidence, Leadership and Respect. Students learn to set and achieve goals, while building self esteem in a fun, safe and educational atmosphere. Our instructors are role models that will help give your child the extra edge to succeed in life!